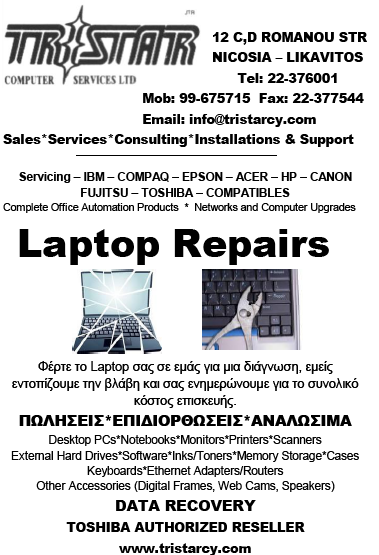 Laptop Repairs | Tristar Computer Services Ltd.
At Tristar Computer Services Ltd. our experienced technicians are experts in laptop repair. We can fix almost any problem on any laptop. Our prices are compettive and our service is quality assured. We value our customers time and equipment and work quickly to ensure your laptop will be returned as fast as possible. Many companies will attempt to sell you a new laptop instead of spending the time necessary for quality laptop repair. At Tristar we prefer to fix problems and not sell you new ones. It is more cost effective to have your laptop repaired rather then buying a new one. 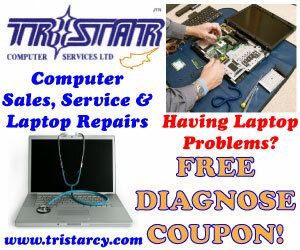 With the proper tweaking and fine tuning our technicians make your laptop run better then new. This is because new laptops are sold with unnecessary software and are not optimized for performance. Our technicians will customize your computer and make the necessary adjustments to make your computer run faster and smoother then when you first purchased it.